Metaphysical Properties for Chevron Amethyst. Chevron Amethyst enhances peace of mind, relaxation and self-discovery and enhances courage and inner strength. 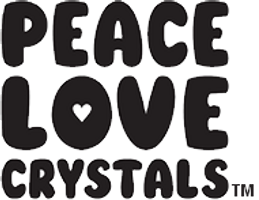 PEACE LOVE CRYSTALS Chevron Amethyst Tumbled Stones are approximately 20mm-25mm in size. All orders receive a free copy of our "Crystals and Minerals Metaphysical Properties Guide" by PEACE LOVE CRYSTALS*. Image shown is an example of our tumbled stones natural variation. Please take note of the size described as images are close-ups so you can see the quality we offer. You will receive one tumbled stone, if you want more simply increase the number required. Chevron Amethyst is a mixture of purple and white crystallized quartz. The purple colour comes from the combination of trace amounts of iron and aluminium, plus irradiation. Amethyst has a trigonal crystal structure and a hardness of 7.